October U.S. plug-in EV sales will raise the bar once again. ***Jaguar I-Pace update: According to goodcarbadcar.net, Jaguar has delivered 5 I-Pace vehicles in the U.S. thus far, and apparently all in October. We have no way of validating this data, since the website seemingly uses our Tesla estimates without any link or verification, and doesn't specify the fact that these are estimates. Instead, the website only clarifies that GM vehicles are estimated, while not including GM vehicles in its charts until the end of the quarter. It's difficult to count on a publication that doesn't clarify which data is estimated and which is not, on top of the fact that we know there are several estimates in their chart that have no supporting link. We will be reaching out to GCBC for an explanation of this issue. Nonetheless, since we rely heavily on estimates, it is what it is at this point. Previous update information for background: Sadly, we have another automaker that doesn't provide a sales chart. Jaguar-Land Rover simply reveals total sales with no breakdown of models. We know full well that at least I-Pace one was delivered in the U.S. thus far as part of a publicity stunt, since we published the story. Could there be more? We honestly have no clue and it's unfortunate that as I-Pace sales develop, we'll likely have no idea of the numbers going forward. ***BMW Update: BMW sold a told of 1,836 plug-ins EVs in the U.S this October, which is down 8.6 percent from last October. Our chart includes official reported numbers for the i3 and i8, however, we've estimated splits for all other models since BMW doesn't provide them. ***Update #4: We've now added our Porsche, Audi, and Volvo estimates based on what we've discovered via various sources. Keep in mind that none of these automakers disclose information to us. Thankfully, none of them make up a large percentage of the overall monthly sales chart. Wouldn't it be nice if these brands would just fess up and be transparent and forthcoming? Oh well, we've tried and failed on numerous occassions, so you'll have to rely on our research. ***Mercedes-Benz update: We're not surprised to share that Mercedes-Benz plug-in sales in the U.S. continue to plummet ridiculously. The German brand emailed us showing a whopping 37.1-percent decrease this month, with only 129 delvieries in October, aside from smart. While the automaker continues to refuse to give us official model splits, we've used the grand total to add estimates to our chart. Each month InsideEVs tracks all plug-in EV sales/deliveries for the United States by automaker. The 2018 calendar year has been the most fascinating thus far in the history of the segment and it only stands to get better. The year started with somewhat lackluster sales, but the momentum quickly shifted. Now, each month is almost sure to blow the roof off of the past. In fact, four of the five best-selling months of all time for electric vehicles have all happened this year. We have no doubt October will make the list and push December 2017 off. How about a deep dive into our estimates and methodology? As of the end of September 2018, an estimated 234,635 plug-in electric vehicles had been sold in the U.S. this year. We're down to the final quarter before the year goes into the archives (and the record books). It's looking as if we'll see some 350k EVs delivered in the U.S. in 2018 by the time the year comes to an end. Much of the success of that estimate depends on how many Model 3 vehicles Tesla delivers through the end of the year. Additionally, we have to ask ourselves if any other automakers are going to ramp up their efforts in this final quarter, or if numbers will remain relatively flat. In October 2017, an estimated 14,315 plug-ins were sold in the U.S. This September we saw well over a 100-percent gain from last year's numbers. Can October pull that off as well? Will we see deliveries north of 28,000 this October? But, of course! According to our research, Tesla's overall U.S. numbers are down for the month of October, which was expected since Model S and Model X sales in the U.S. for the first month of the quarter are always significantly lower than other months. Still, it appears Tesla was able to show a substantial increase from last October's S and X U.S. totals. Additionally, in September we saw a monumental effort by Tesla to get as many Model 3 sedans as possible delivered since the automaker was working diligently to show a profit. For the month of October, the push wasn't as significant. Keep in mind that many September deliveries were situatued very near the Fremont factory, whereas, October deliveries have been much more widespread. In addition, Tesla had plenty of help from owners in September, hosted a Model 3 sign and drive event, and pushed production numbers to new heights at certain points throughout the month. Finally, remember that some Model 3s are still going to Canada (perhaps as many as 1,000 are/were headed that direction in October). With all of this being said, while Model 3 delivieries were still kicking it in October, we won't see that September number eclipsed ... at least not during this reporting cycle. Although we may add some incoming adjustments, our current data shows U.S. Tesla Model 3 deliveries at 17,750 for October, with Model S sales at 1,350 and Model X sales at 1,225. CEO Elon Musk just tweeted reminding us that early quarter production goes to the East Coast and overseas, which we already pointed out and accounted for as you can read above. We're not quite sure if he's saying that means our estimates are too high or too low. Interesting, nonetheess. Hopefully, we'll have more information soon. Based on our estimates, GM delivered 1,475 Volts and 2,075 Bolt EVs in October. Nissan LEAF sales grew in August and escalated even further in September. However, October brings a downturn. 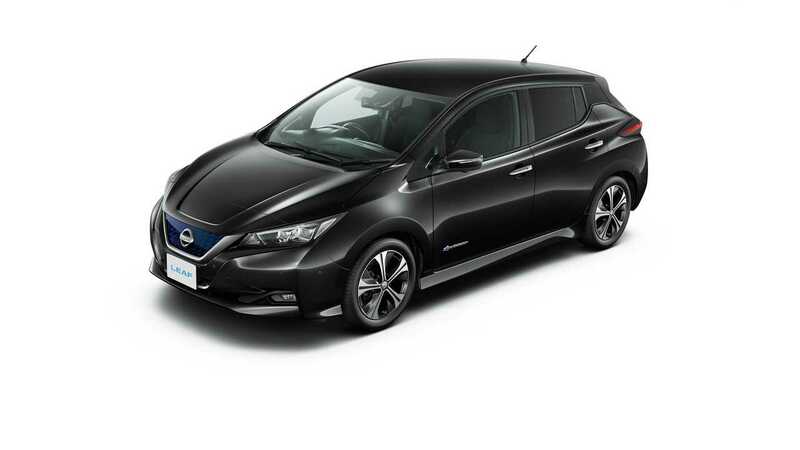 Nissan reports delivering a total of 1,234 LEAF vehicles this October. 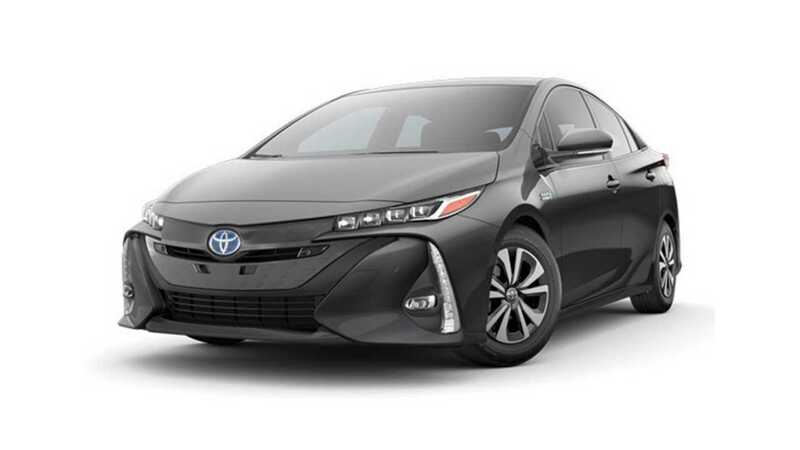 According to Toyota, Prius Prime deliveries are in good shape for Octobert, at 2,001 for the month. 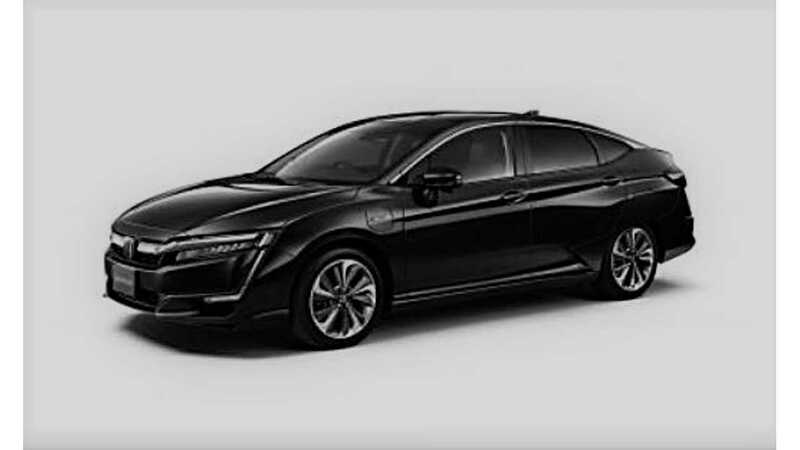 Honda Clarity Plug-in Hybrid hit a high point in May (1,639). It also pulled pretty promising numbers for June, July, and August (about ~1,500 for three consecutive months). However, September was the month that broke records for Honda's new plug-in as it crossed the 2,000-mark for the first time. For October, Honda officially sold 2,100 Clarity vehicles. Our estimates say that 1,935 of those were of the PHEV variety. Toyota reports selling 119 Mirai Fuel Cell vehicles this October. According to our estimates, Honda sold 49 Clarity FCEVs in October. As far as we can tell, Jaguar has delivered one single I-Pace this far in the U.S.
January 2017 sales made it ten months of losses in a row, as 713 were sold, some 55.7% lower than the previous year (1,611). 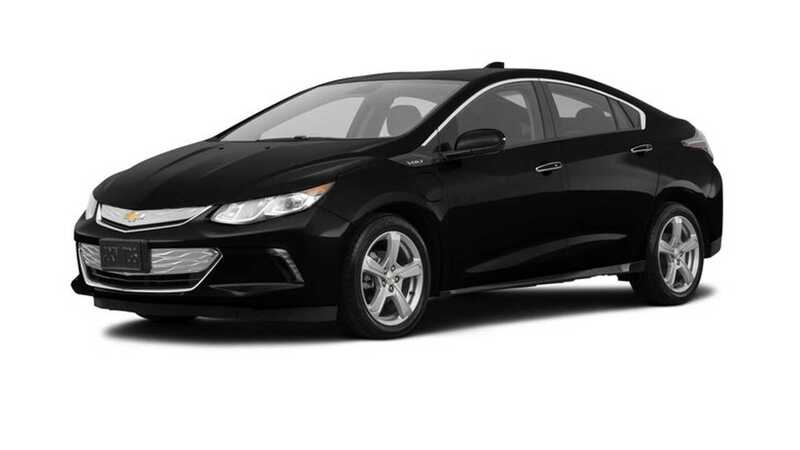 For February, the Volt continued its downturn with a total of 983 sold, which was 46% lower than 2016's impressive 1,820. However, still up significantly from the previous month's numbers. It started to become more than obvious that the Volt's stablemate, the Chevy Bolt EV, was stealing the Volt's thunder. For as many months as the Volt was down and dropping, the Bolt was up and gaining. Keep in mind, this definitely wasn't a bad thing, just different ... and, in all honesty ... better. It meant less gas burned! Fast-forward to 2018 and GM sold a total of 1,782 Volts for the month of March, which was one of its more impressive showings in some time, but still down 16.4% from last year's 2,132. However, this was a huge and welcome sales surge for the Volt. As we previously explained, GM has decided to stop providing monthly sales figures. With that being said, we estimated April 2018 deliveries at 1,325, which was higher than may be expected. Keep in mind, however, that Volt production and inventory are on the rise. Our research for May suggested that our grasp of Volt inventory and sales estimations was on par. While down a touch year-over-year, the Volt impressed again, with 1,675 copies moved. Official Volt sales from GM were right on target with our estimates at the end of Q2 2018. Chevrolet sold 4,336 Volts in Q2, for an estimated total of 1,336 for the month of June. While the quarterly total was down year-over-year, Volt deliveries are gaining ground as expected. According to our estimates, Chevrolet sold 1,475 Volts in July and 1,825 Volts in August. To close out Q3, Volt sales were up nicely. According to our estimates and GM's quarterly report, GM sold 2,129 in September. For the month of October, we estimate that Chevrolet delivered 1,475 Volt plug-ins. The Chevrolet Bolt EV made its debut in December of 2016, as a 2017 model. However, it wasn't technically available nationwide until August of 2017, but only a handful of copies landed in those 30-odd new states during that month. Unfortunately, in January 2018 only 1,177 Bolts were delivered, which was a mere 1.3% gain over last January's 1,162. For February, GM delivered 1,424 Bolt EVs, up 49.6% from last February's 952 sold. Bringing Q1 to a close, GM sold 1,774 Bolt EVs in March, up 81.4% from last year's 978. Estimated Bolt EV sales for the month of April brought us back to some normalcy, and right on target with last year's figures (1,292). We put GM's BEV delivery number at 1,275 in April 2018. For May, our estimates showed 1,125 Bolts delivered. For Q2, GM reported 3,483 Bolt EV deliveries, down ~20% from the same quarter last year. Based on our estimates, that was 1,083 for June. Moving into July and a brand new quarter, we estimated that GM delivered a total of 1,175 Bolt EVs for the month. 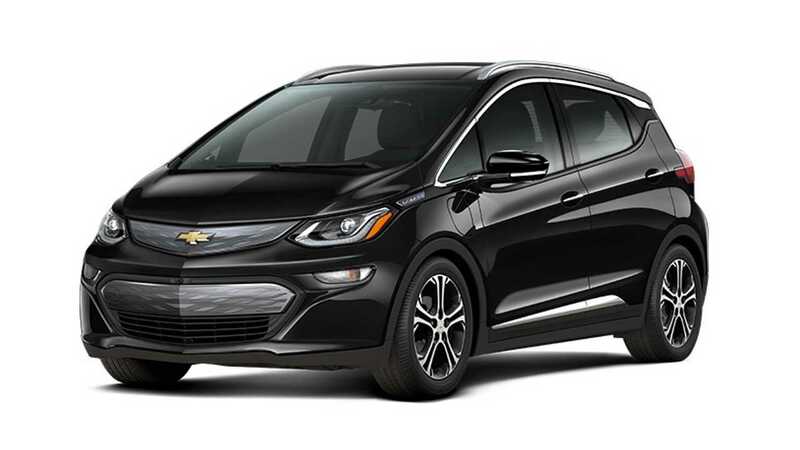 August estimates indicated that GM sold 1,225 Bolt EVs in August. As Q3 came to a close, Bolt EV sales were back up a bit, at 1,549 deliveries for September, based on GM's quarterly total and our estimates. Our October estimates put Chevrolet Bolt EV sales at 2,075. The Nissan LEAF entered February as the oldest offering on the U.S. market - going on almost 90 months now. Sadly, Nissan USA proved not as capable as Nissan Japan, which managed to launch the new LEAF as planned in October (to some very impressive results), while the U.S. (and Europe) had to wait until January. This wouldn't be a problem if the wind-down of the first-gen 2017 model wasn't pre-planned to be defunct by October. The resulting gap between the 'new' and 'old' left Nissan with almost no remaining inventory, which caused sales in October 2017 to drop to just 213 deliveries, ending an impressive eight-month run of four-digit results. In November, that number dropped further, to 175 sales. December -- the best-selling month for EVs -- saw only 102 LEAFs delivered. We're pretty sure Nissan was wishing it had done things differently, as the LEAF closed out 2017 down some 20% overall. 2018 cars didn't begin arriving until January 2018 in small numbers and they were pegged for reservation holders. Nissan told us it would be mid-February before another shipment of LEAFs became available at dealers for new buyers, which we figured would result in a sales bump, albeit small. In January, Nissan delivered only 150 LEAFs, down 80.6% from last January's 772. For February, sales increased to 895, which was hugely promising, only down ~14% from last year's numbers. As a point of reference, last February, Nissan delivered over 1,000 LEAFs. For March, Nissan began to dial it up and delivered 1,500 LEAFs, which is on par with numbers from March of 2017 (1,478). Sadly, LEAF sales didn't grow as we had hoped for April, as Nissan moved 1,171 copies. However, fortunately, deliveries spiked in May, to a whopping 1,576. Once again, June's results were not as great as we'd hoped. Still, Nissan delivered 1,367 LEAFs, down about 9% from the previous June and also down from May's 1,576. In July, Nissan reported a total of 1,149 LEAFs sold in the U.S., down considerably from June and down about 10 percent year-over-year. Nissan delivered a total of 1,315 LEAFs in August, up significantly from July's total, as well as that August 2017. We were happy to report another improvement for Nissan LEAF sales. The automaker sold an impressive 1,563 this September. Nissan reports the sale of 1,234 LEAFs in the U.S. this October. Unfortunately, that didn't happen, and a 'doubling' of stock (to around 2,000 units), only resulted in 1,899 sales in September. An additional 50% gain in inventory for October (up to ~3,000) actually resulted in a lower number - 1,626 sales. For November 2017, inventory levels stayed fairly strong, averaging slightly more than October, which translated into better sales, but still a relatively disappointing 1,834 deliveries, given the higher expectations for the year's end. For December, the Prime saw a record sales month, with 2,420 sold. This put the 2017 total at 20,936, landing Toyota's plug-in the fourth place spot overall for the year as a whole. Moving into 2018, Toyota delivered 1,496 Primes for the month of January, up 5.1% from last January's figures. February Prius Prime numbers were super-impressive, with 2,050 sold, which was up a whopping 50.5% from last year's monthly figures! As 2018 moved on, it continued to get better, as Toyota sold 2,922 Prime plug-ins in March, up again from last year's numbers by an impressive 74.1%. The total was also up significantly from February's figures, making us pretty confident that the Prime would continue to rein No. 2 to the Tesla Model 3 for the foreseeable future. Yes yes yes, Toyota's popular plug-in continued to hold the number two spot on our chart, with 2,626 delivered in April and 2,924 in May. However, somewhat surprisingly, Toyota Prius Prime sales were down for June compared to the previous three months, at 2,237. Nonetheless, this number was up 45% year-over-year. Heading into July 2018, we were not so happy to report that Toyota sold 1,984 Prime Plug-in models. Nearly 2,000 EVs in a month is still good, but that marked the second month in a row that Prime sales dropped. Good news arrived in August, although it could have been better, seeing Prius Prime sales on the way back up was promising. Toyota sold 2,071 copies in the U.S. in August and 2,213 in September. For the month of October, Toyota delivered 2,001 Prime plug-ins. While not life-changing, this is impressive in a month where automotive sales tend to plummet. The BMW i3 entered the U.S. market with a bang in 2014, but it's too bad that the initial fireworks display of sales back then was the peak - we just didn't know it at the time. Sales got off to a rough start, with just 182 moved in January, and 318 in February. The tune changed drastically in March (which given the i3's track record is not all that surprising) with 703 sales made, a 118% gain over March of 2016. However, for several months after March, sales hovered around 500-600 units, until October when almost 700 were moved yet again. 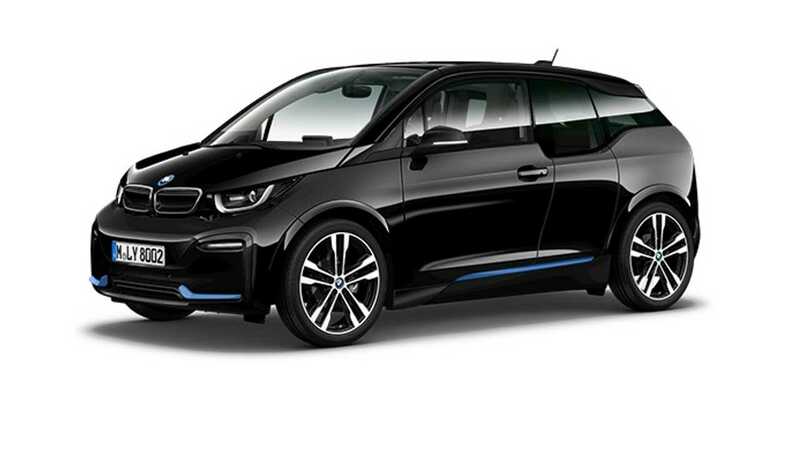 For November...trashbags, as the company recalled all of its i3 vehicles due to a safety issue (for people who chose to NOT wear their seat belts if you can believe that) and put a 'stop sale' on the model for a time. Just 283 i3 vehicles were sold during a month that is historically one of the best in terms of EV sales. Quite frankly (and notwithstanding this recall), the i3 as it stands today is likely too expensive for plug-in vehicle buyers. So, if BMW wants to sell the EV in volumes like it did in the past, it's going to have to sharpen its pencil considerably. In late August 2017, BMW proved it still really didn't understand the issue behind lackluster sales or the i3 itself, by releasing a new, slightly sportier trim level - the i3s (full details here). The car received some new styling details, some wider tires and some extra performance (+10 kW), but what the public really seemed to want was a longer range option and a price cut (the new i3s is ~10% more expensive in most markets). 2018 models began to be delivered in December and i3 sales accelerated from November's totals considerably. The German luxury automaker delivered more than double the previous month's total, at 672 to close out 2017 with 6,726 sold. For January, BMW delivered 382 i3s, which was exactly the same number as last January. February brought a 96% bump in i3 sales from the same month last year, with 623 sold. It looked like the i3 was going to start gaining interest once again. We saw two consecutive months of excellent sales growth. BMW sold an impressive 992 copies in March, which was the best showing for the car since August of 2016. This was up 41.1% from last year's 703, and a big bump from February's 623. Unfortunately, the jump in interest may have been short-lived, as April saw 503 copies moved and May sales dropped to 424. For June, BMW i3 sales were back up a touch, as well as up 2.3% year-over-year, with 580 delivered. BMW i3 sales were back down in July, at 464 delivered. This was also down 23 percent year-over-year. For August, BMW reported sales of 418 i3 vehicles, down again from July, and the second-lowest delivery number for 2018 thus far. BMW reported 461 i3 sales for September. BMW sold 424 i3 vehicles this October. Tesla doesn't give out exact monthly sales (apparently because the public can't handle the concept of regional allocations and delivery lead times). For this reason, we never know for sure what the monthly numbers total up to until Tesla's quarterly (or annual) updates add more clarity. However, we do our best to keep our finger on the pulse of what's happening. To come to an estimated monthly number, we don't simply take the quarterly estimate given by Tesla and divide it by 3 and hope it all works out. This is surely not how it works in the real world. We simply report from the data we accumulate ourselves, including first-hand accounts available from the factory and from the community itself, and the number is what it is (see below). Revisions/disclaimer to the accuracy of prior estimates: The 2016 Model S chart has been adjusted (via U.S. Q3 data leaked directly from Tesla) by 469 units in Q3, and 525 units in Q4. The 2015 chart was adjusted (one time) by 498 units to compensate for confirmed full-year numbers. The 2014 sales chart was adjusted (one time - again after the end of the full year of estimates) 611 units to compensate for full-year numbers. While past success is no guarantee of future results, InsideEVs is quite proud of its sales tracking for the Model S over the years. That being said, we only estimate this number because Tesla does not report it, and to not put a number on Model S sales would be to paint an even more inaccurate overall picture of EV sales. Despite our fairly accurate track record, we're not analysts or portfolio managers and we don't own any positions in TSLA the company. The end result is that production energies and skilled labor normally assigned to Tesla's original EVs were diverted from the Model S and X to getting the Model 3 back on course. Tesla seems to be more focused on net sales than setting a specific S and X target, but international deliveries also play a role. All-in-all, we may see Model S and X sales flat or even lower over the course of 2018. Additionally, the automaker recently pushed back Model S and X delivery timelines by several months. It was said that this was due to a spike in orders for the vehicles, likely due to the attention Tesla is getting from the Model 3, and also because many people are having to wait so long for their Model 3, so they've opted for an S or X instead. With all of this considered, it's becoming increasingly clear Tesla is picking and choosing how it will skillfully hit its delivery targets. This means that sales figures for the Model S for December 2017 and January 2018 were down from the previous year's numbers. We estimated January Model S sales at 800. February's estimate came in a bit higher, at 1,125, although this was still a notable drop from last year's 1,750. March sales mirrored 2017 as expected, at 3,375, to round out the quarter fairly close to targets. As stated above, the automaker has made it increasingly clear that S and X sales will likely match last year's targets, remaining pretty flat for 2018 due to the Model 3 focus. April saw an estimated 1,250 Model S deliveries, which was up marginally, though pretty consistent with last April's 1,125. May saw an estimated total of 1,520 Model S sedans delivered in the U.S. For June, our research indicated that Tesla delivered 2,750 Model S vehicles to the U.S. market. Our estimates revealed that Tesla delivered 1,200 Model S sedans in July, compared to last year's 1,425. 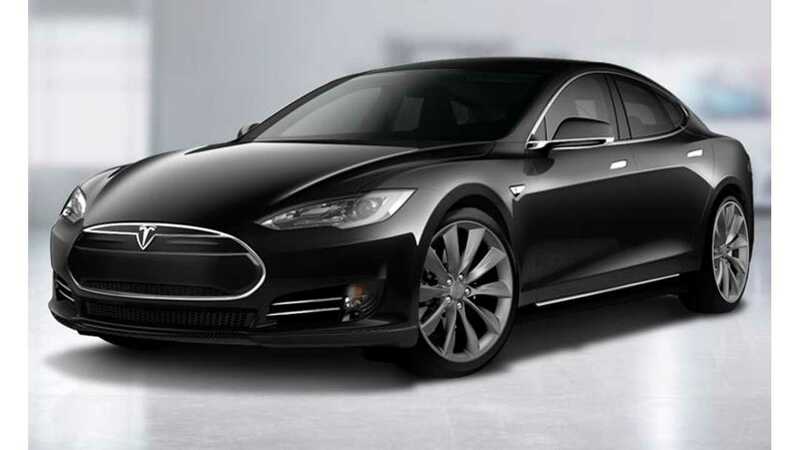 Tesla delivered 2,625 Model S sedans in the U.S. in August based on our estimated data. In September, our estimates showed that Tesla was able to keep Model S sales up despite the impact of the Model 3. We reported 3,750 Model S deliveries in the U.S. for September. Our research puts Tesla Model S sales at 1,350 for October. Tesla's leaked U.S. sales data for Q3 2016 put U.S. deliveries at 5,428. Our own Q3 estimate was 5,800 for North America, which includes Canada (which ended Q3 with 389 registrations for the quarter), meaning 5,787 were actually sold. Though we don't attest to being experts, we were only off by 13 units in Q3. Since we don't want to bore you by explaining the same thing twice, have a look at the Tesla Model S recap (above) and then come back here. All done? Good ... welcome back. Aside from lower sales volume due to the Model 3, for the months of December and January, Model X sales seemed to be business as usual (despite the long-winded explanation above). In December 2017, we estimated that Tesla moved 3,330 electric SUVs compared to the 3,875 sold in the same month of 2016. We estimated January 2018 Model X sales at 700, down a touch from last year's 750. Our estimates for February put Model X deliveries at 875 (to reconcile the quarter, we've bumped this number up to 975), up a fair amount from January's estimates, as well as February 2017 numbers (of course, last February, Model X production was somewhat limited, as our estimates show the automaker delivered 800 during that month). For March, sales were consistent with 2017, at 2,825, to finish the quarter fairly close to targets. Last year, April Model X sales were quite low, much like that of January and February. However, it should be noted that as 2017 moved forward, the X began to rise in popularity and did a better job of mirroring sales with the Model S. We are seeing the same trend in 2018. While it appeared Tesla still sold more S' vehicles in the U.S. again this April, the divide was more closely matched. 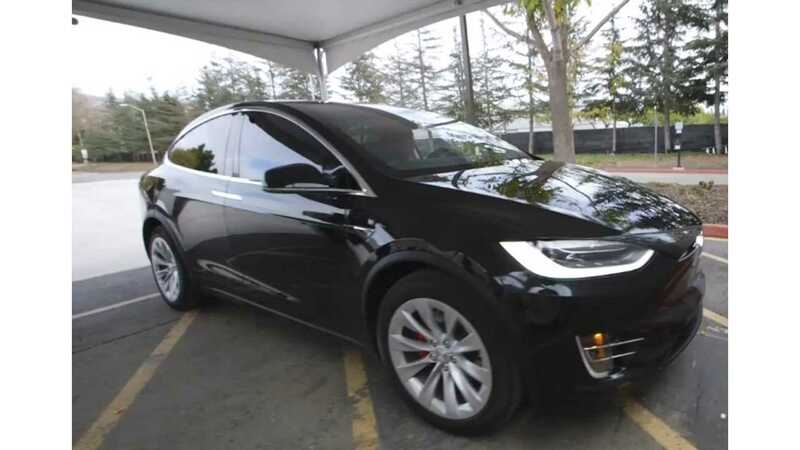 We estimated 1,025 Model X SUVs delivered this April and 1,450 in May. According to our data collection, as Q2 came to a close, Tesla delivered an estimated 2,550 Model X SUVs in June 2018. According to our data collection, Model X deliveries in July reached a total of 1,325. Last year, Tesla sold 1,650. Model X deliveries in the U.S. surely impressed in August according to our estimates, as Tesla sold a whopping 2,750. Tesla Model X U.S. sales for September blew last year's number out of the water, at 3,975 based on our estimates. With all things considered, we estimate October Model X sales at 1,225 for the U.S.
Just ~16 months after orders opened, and ~10 years since it was first announced (then known as the "Bluestar"), the first Model 3s were delivered on July 28, 2017! One can check out the full delivery ceremony and all the newly released specs (220-310 miles range, 0-60 mph in 5.1-5.6 seconds) on our full recap here. As with Model S & X sales, Tesla is not planning to release monthly Model 3 sales in the U.S. at this point in time. Until then, we'll do our best to estimate monthly results for North America using all the data at our disposal (For more info on that, check out our Model S disclaimer). Thankfully, in the early days (Q3 2017), estimating Model 3 sales in the U.S. was a pretty easy task, as the complete delivery volume for July took place live at the July 28th delivery event in Fremont, California. The first 30 cars were delivered to Tesla employees/stakeholders in the U.S., and one could almost count the individual cars as they left Tesla's Fremont factory in August. For September, we had Tesla's quarterly disclosure that put deliveries at 222 cumulatively for the quarter, meaning about 117 were delivered. Truthfully, the monthly numbers were meaningless in Q3. Instead, all eyes were on production. While the company guided to some 1,630+ to be produced, just 260 were built. From our perspective, Tesla realized fairly early in July that the September goals would not be met. Following the future 'S-Curve' goal into year's end was going to be problematic. It appears from that moment on, rather than working on "near-term" production and deliveries, Tesla has been working more proactively with the main goal of simply being able to show volume production by year's end - something originally targeted for the end of September. While this thought process was never officially confirmed by the company, a quasi-confirmation came with the admission that Model S and X production would be off 10% in Q4 2017. Additionally, we saw the effects of manpower being transferred into transitioning the Model 3 production from "burst" output (or start and stop if you will) to a more consistent, ordered structure. While it was only speculation on our part (as it was for several months while watching the happenings around the car), we believed Tesla was desperate to provide confirmation of a "decent" sustained production level for the Model 3 by the close of the year ... and we were right. To that end, progress to a certain degree was definitely made in November, as more cars than ever did actually find employee driveways (and orders also opened to the public mid-month ... well at least to the first batch of locals anyway). Though Tesla only delivered an estimated 345 Model 3s in November, this number was a notable jump from prior months. Adding up all Tesla vehicles delivered in the U.S. in 2017 brought us to an estimated 50,147. Global deliveries passed the 100K mark for the year as a whole (~103,000), making 2017 Tesla's best year to date, despite Model 3 shortfalls. While Model S and X sales were both down a handful for January based on our estimations, Model 3 sales were up again compared to last December's numbers (one would sure hope so!) However, they weren't up as high as projected or expected. For February, we assumed that most of the remainder of the Model 3s manufactured in January made their way into owners' driveways. Added to this, we gather that some early February production was delivered prior to the 28th of the month. We should also point out that an anonymous source with close ties to Model 3 production made us aware that the line was down for as much as a week at a time over the course of the prior month or so due to timing issues with the robots. This was later verified by the automaker. Our February Model 3 delivery estimate was 2,485. As expected, Tesla dialed up Model 3 production for March considerably, and according to the automaker's Q1 sales report, future prospects were looking up. You can read the whole report by clicking here. Tesla delivered a grand total of 8,180 Model 3 sedans for Q1 2018, with March sales at an impressive 3,820. 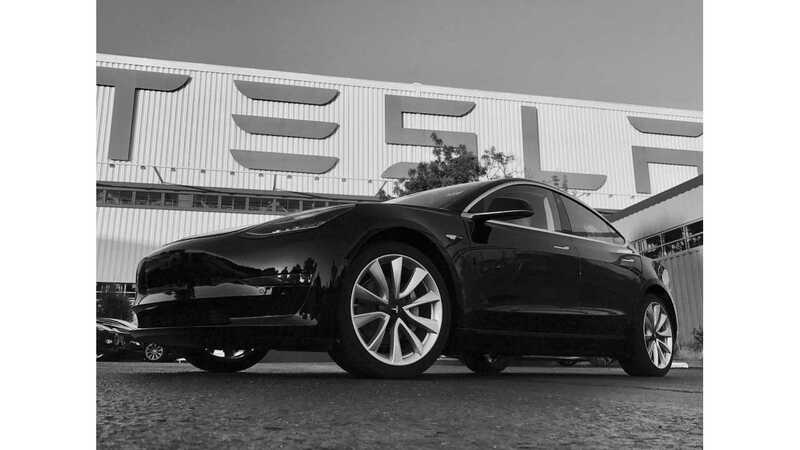 One less day in April, similar production numbers in comparison to March, and a brief shut down meant that April's Tesla Model 3 deliveries remained very consistent with the previous month. Knowing that fixes had been made in Fremont and the Gigafactory, we looked forward to a surge for May, followed by a leap in June to end Q2. Still, our Model 3 April delivery estimate of 3,750 was impressive considering the circumstances, and there was no doubt the popular electric sedan would continue to dominate our sales chart. Tesla has successfully ramped up Model 3 production considerably as of late. Despite the shutdown, our estimates show that the month of May was a huge gain from prior months. According to our research and data collection, we saw May's Model 3 deliveries at 6,000. During the month of June, Tesla ramped up Model 3 production even further, resulting in our delivery estimate of 8,300, which was supported by Tesla's delivery report. 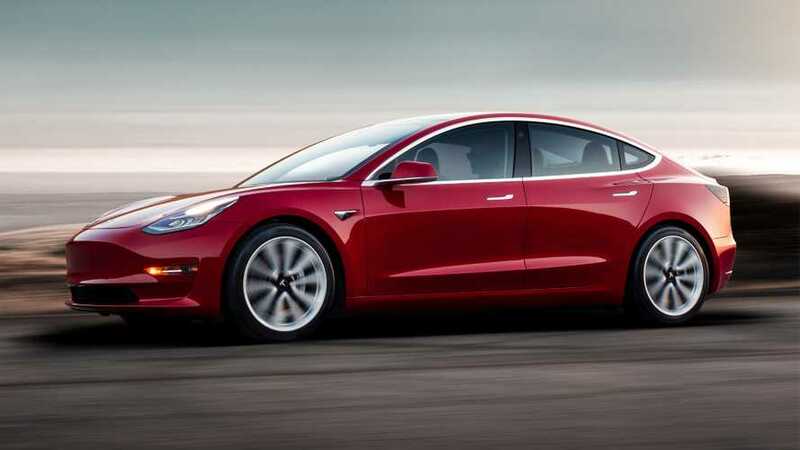 However, we discovered that at least 2,300 of those made their way into Canada, while an estimated 5,902 were delivered in the U.S.
Disclaimer/Historical accuracy: We've adjusted Tesla Model 3 delivery estimates down ~3% for Q2 2018 due to new information confirming deliveries to Canada, which was previously unavailable (August 10, 2018). Tesla delivered a whopping 14,250 Model 3 sedans in the U.S. this July, according to our researched estimates. As if that wasn't good enough, an estimated 17,800 Tesla Model 3 sedans were delivered in August. According to our estimates, Tesla delivered 22,250 Model 3 sedans in the U.S. in September. Our estimated October U.S. Model 3 delivery number currently sits at 17,750. Editor's note: FCA does not split out sales data for the plug-in Pacifica, so we try our best to estimate that number from month-to-month until hard/verifiable data is gleaned. Finally, the Pacifica Hybrid officially arrived on "Earth Day" April 22, 2017, and customers enjoyed a good three to four weeks of arriving inventory ... until the wheels fell off (not literally). By June 10, 2017, a nationwide recall was announced, and all 1,677 Pacificas sold in the U.S. and Canada had to head back to Chrysler to get a faulty diode replaced that could cause loss of power when in operation. We won't get into all the details from there (check out our June 2017 sales report for more info). Nonetheless, customer orders and dealer stock began flowing once again and the 2018 model has arrived. With January being a low-volume month, we put Chrysler Pacifica Hybrid sales estimates at 375. For February, we estimated Chrysler delivered 450 Pacifica Hybrids. Our March estimate saw 480 Chrysler Pacifica Hybrids delivered. After three months below 500 sales, the Pacifica Hybrid was set to lose its spot in our recaps. However, we've kept it around for now in case the rest of the year begins to show promise. While April's numbers (425) didn't help its case, our May estimations showed Chrysler moved some 650 Pacifica Hybrids and June remained mostly consistent with May's findings, at 710 deliveries on the month. This July, we estimated Pacifica Hybrid sales back down again, at 450. 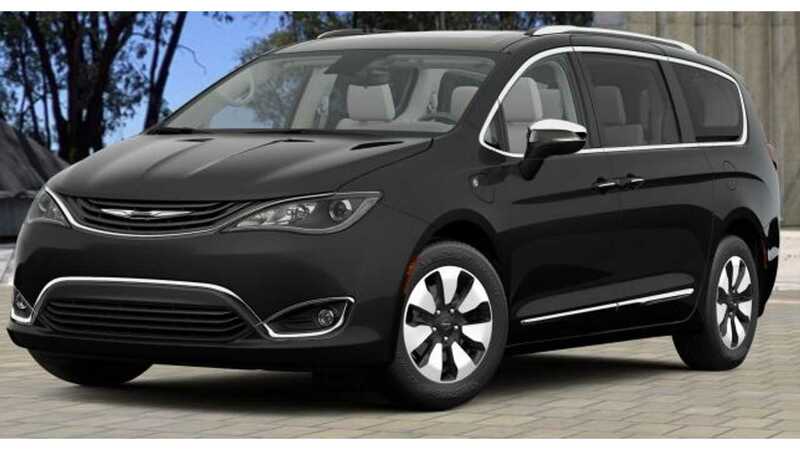 However, our estimates for August show that Chrysler Pacifica Hybrid minivan deliveries climbed significantly, to 654. Our estimates reveal that Chrysler delivered 637 Pacifica Hybrids in September. In October, Chrysler sold 623, based on our research and data. Heading into 2017, the Fusion Energi crossed back into "four-digit land" in March, as 1,002 Energis were moved ... joining a club of just five others at that level. The month of May showed a repeat of such numbers, but sales have stayed in the 700s ever since. Looking at the inventory in the past, it was easy to see why (and how) so many of the Fusion plug-ins were initially sold. The Fusion Energi often won the crown for the "most stocked" EV in the U.S., until Chevy got crazy with the Volt and Bolt EV. It seems the story has remained that same as 700 is the new magic figure for Ford's midsize plug-in. May came in right on target for the Fusion Energi, at 740 sales. However, the automaker only delivered 604 Fusion Energis in June. Fusion Energi sales dropped again in July, to 522 delivered. It seemed Fusion Energi sales were slowly dying away. The magic number of ~700 was no longer consistent. To add to the bad news, Ford reported deliveries of only 396 midsize plug-ins for August. Ford sold 480 Fusion Energis in September, still not back up to the 700 or so we were hoping for. 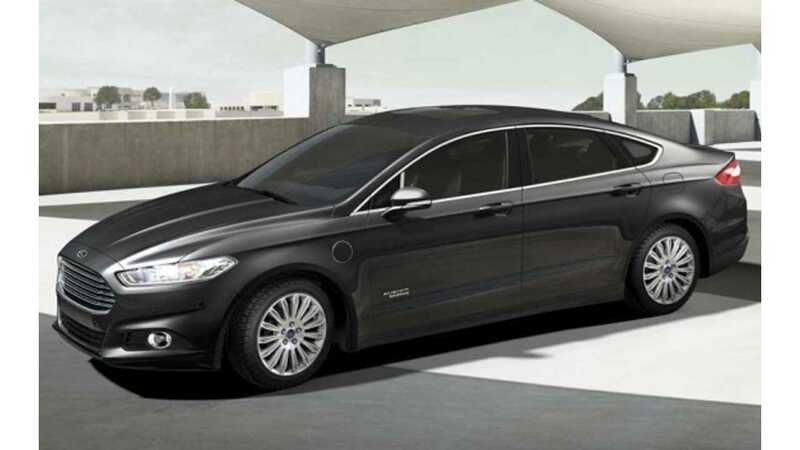 Ford reports the sale of 453 Fusion Energis this October. 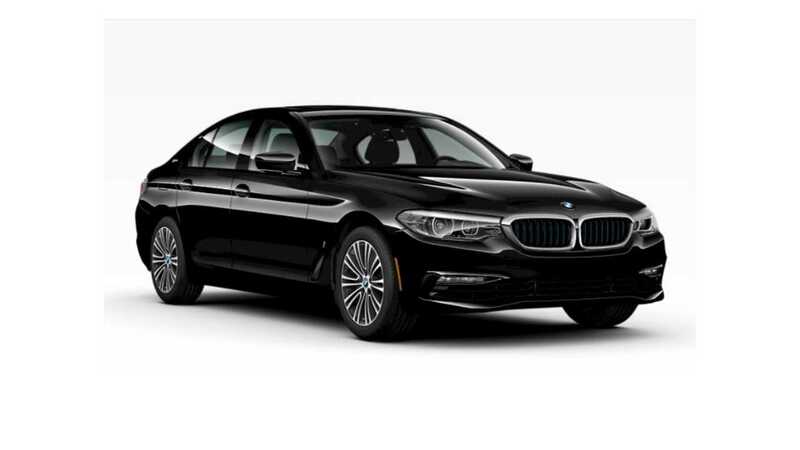 Welcome to the "big time" BMW 5 Series! By "big time" we mean selling more than 500 copies and getting an individual recap on our sales scorecard. The plug-in hybrid's $52,400 starting price point makes it the cheapest of the 5 Series to own, and thus a strong seller. After crossing 500 sales in both September and October of 2017, an amazing 872 were moved in November, followed by 706 in December - shooting the plug-in BMW up our sales chart. For 2018, 530e sales have been mostly rising, aside from a small drop in April. In May, BMW sold an impressive 729 530es. This was up considerably from 2018's previous numbers, aside from a good showing at the end of Q1. June revealed another spike in deliveries, to 942, which was an all-time high for the plug-in 5 Series! Our estimates revealed that BMW moved 536 5 Series plug-ins in July 2018, which was down from the previous few months, but still right on target with expectations. In August, our research proved some forward momentum, as we estimated that BMW delivered 749 5 Series plug-ins. Our estimates indicated that BMW delivered 756 530e vehicles in September. BMW sold and estimated 733 5 Series plug-ins this October. With just 329 sales in October 2017 and 333 in September, we confidently predicted the X5 plug-in would be leaving our recap list in 2018 ... then came November. The month brought an all-time best 929 deliveries, which made the BMW the sixth best selling plug-in for the November! In December, sales were down, but still strong at 832, pushing the X5 just out of the top ten for the year as a whole. While inventory is still low, we're happy to be able to report that the 2018s are here in volume. Hopefully, enough plug-in SUVs will eventually arrive that BMW can once again make a push to achieve the four-digit mark! 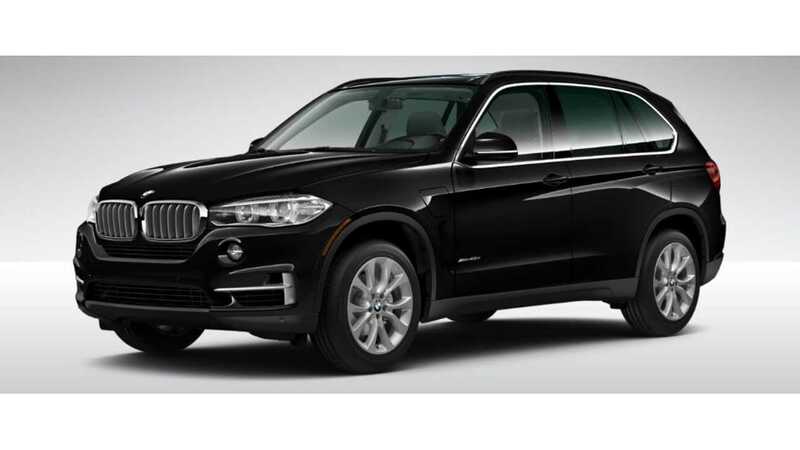 Sadly, it hasn't happened yet, as May saw 499 BMW X5 plug-ins delivered. Down a touch, but mostly on par with previous sales data. The automaker sold 321 X5 plug-ins in June. According to our research, BMW delivered an estimated 431 X5 plug-ins for the month of July. This was up considerably from June's results, but still consistent with trends. However, August estimates showed a drop, as our data revealed that BMW sold an estimated 264 X5 plug-ins on the month. Based on our estimates, BMW sold 225 X5 plug-ins in September. Based on our estimates, BMW delivered 224 X5 plug-ins in the U.S. in October. January deliveries fell to 594, however, that's still outstanding for a new addition to the segment during a weak sales month. February brought a nice surge back up to 881 sold, pushing the Clarity PHEV within reach of the best-selling vehicles in the segment. Now, the Clarity PHEV finds a new home in our recaps, and it's obvious it earned it well. The addition of the Clarity was much-needed, as it comes at a time that we have recently eliminated the Volkswagen e-Golf, Audi A3 Sportback e-tron, Ford C-Max Energi, and Fiat 500e due to not meeting the sales threshold. The Clarity PHEV starts at $33,400 before rebates. It's powered by 1.5-liter four-cylinder engine and two electric motors, with a total system output of 212 horsepower and 232 pound-feet of torque. The Clarity boasts a 47-mile EPA all-electric driving range, making it the closest PHEV all-electric range competitor to the Chevy Volt. Charging takes 2.5 hours with 240-volt power or about 12 hours on a 120-volt household outlet. For May, Honda moved 1,639 Clarity PHEVs. The automaker sold a total of 1,445 Clarity PHEVs in June. Honda sold 1,615 Clarity models in July. The automaker doesn't provide a breakdown between BEVs, PHEVs, and FCEVs, but according to our estimates, some 1,440 of these cars were likely of the plug-in hybrid variety. In August, Honda reported a total of 1,689 Clarity vehicles sold. Our research showed that some 1,495 Clarity Plug-In Hybrids were delivered for the month. Honda sold a whopping 2,220 Clarity models in September. Based on our estimated splits, the automaker delivered a record 2,028 Clarity PHEVs for September. As far as Honda's official delivery report is concerned, the automaker delivered a total of 2,100 Clarity vehicles in October. Our estimates say that 1,935 of those were of the PHEV variety.